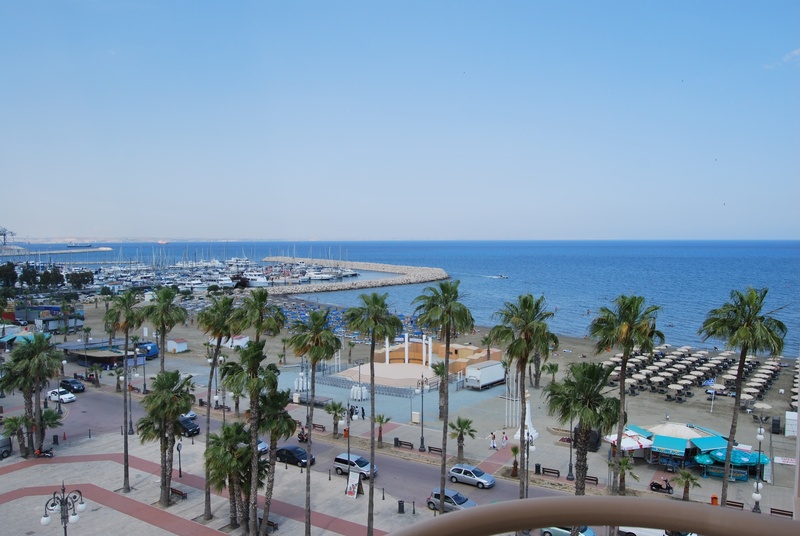 Our walk of Saturday 31 January 2015 takes us to the city of Larnaca and its newly upgraded Sea Front. This is essentially an afternoon stroll, starting later than usual, at 14:00. The walk starts at the well-known Makenzy beach sea front and follows the coast north, past the Larnaca castle, up to Phinikoudes and its pier. We shall follow the same route back to Makenzy. The walk includes a cultural aspect, since we shall visit the (Ottoman) Castle and the church of Saint Lazaros. We start outside Café Nero and Kitsios fish taverna, on Makenzy beach at 2:00 pm. Xenophon is leading this walk, which will go ahead even in light rain; if you need to, call 97613720. The walk will take about 2 hours, is on totally flat ground and is classified as very easy. After the walk we shall sit down in one of the cafeterias at Makenzy, for a drink and a snack. You have the choice of meeting the group at the walk start, if you are very familiar with the place, or meet at the designated meeting point in Nicosia, from which we shall drive in a convoy. Meeting in Nicosia offers two important advantages: we drive in full cars, leaving some cars behind; thus, we save in fuel and enjoy the trip in good company. The meeting point in Nicosia is the Handicrafts Centre (Kentro Heirotechnias) on Leoforos Athalassas (Athalassa Avenue), which offers ample parking space. The car trip starts at 1:00 pm. Please ensure you observe start times, for the benefit of the group.